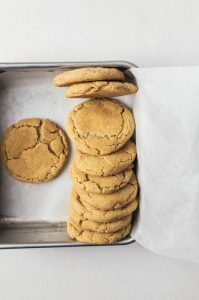 These brown butter snickerdoodle cookies are nutty with an incredible depth of flavor. No one will be able to turn down one of these mouthwatering cookies. Lately I’ve been on a bit of a cookie craze. It might not look like it on the blog, but if you follow me on instagram and took a look at my stories, you would have seen me make about five different types of cookies this past month. And yes, they will all soon be on the blog as soon as I can stop being lazy and actually post them to the blog. Snickerdoodles are one of those cookies that never go out of style. Soft textures, a slight tang, and warm cinnamon make these cookies a crowd pleasing favorite. Adding browned butter takes them to a whole new delicious level. 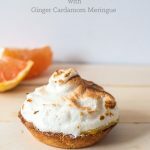 It adds nuttiness and an incredible depth of flavor that complements the cinnamon sugar coating. Basically, brown butter snickerdoodle are the mouthwatering cookies of your dreams. A lot of people ask why you need to use cream or tartar in snickerdoodles and if you can skip this ingredient. (and yes, there is cream of tartar in these brown butter snickerdoodles). Cream of tartar actually does a lot in snickerdoodles. They activate the baking soda, add tanginess, and chew. Without the cream of tartar, these brown butter snickerdoodles would be brown butter sugar cookies. Still delicious, but not a snickerdoodle. Don’t skip out on cream of tartar, please. 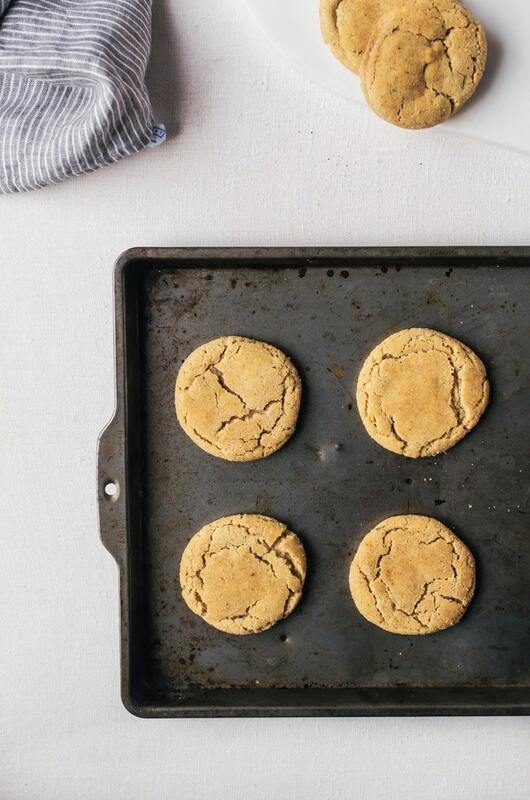 The best part about these brown butter snickerdoodle cookies is they only get better with age. They keep soft, but get chewier and the brown butter flavor becomes more prominent. 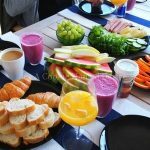 There is nothing better than sneaking down and having one or two in the morning as a pre-breakfast snack. 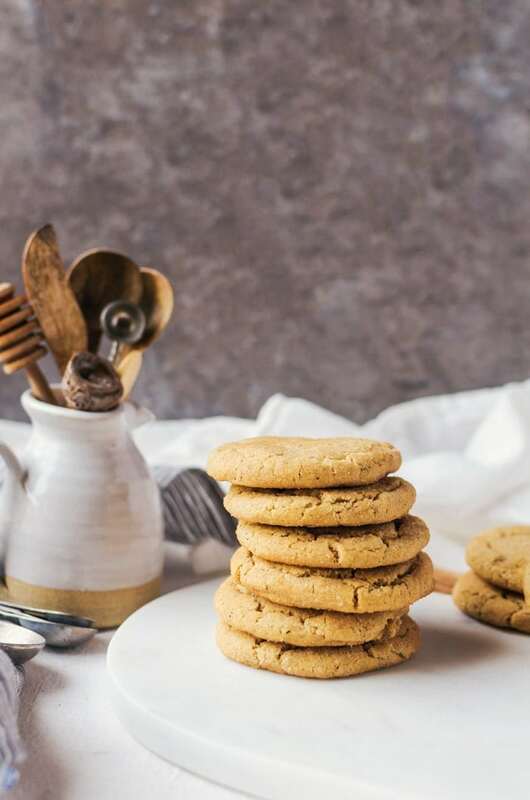 Simple, yet mouthwatering brown butter snickerdoodle cookies. 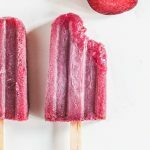 These tasty treats will be a new favorite! Add the butter to a saucepan and heat on medium-high heat. Allow the butter to melt and then stir continuously until the butter begins to brown in color and smells nutty. Remove from heat and cool the butter in the refrigerator until the butter is solidified, but still soft. In medium bowl, mix together the flour, cream of tartar, baking soda, salt, and cinnamon. Set aside. Add the butter and sugar to a mixing bowl and beat until light and fluffy. Add in the eggs and beat well for about 2 minutes. Gently add in the flour mixture to the butter mixture and fold in until there are no streaks of flour. Chill the cookie dough for at least an hour. Mix together the sugar and cinnamon for the coating. Preheat the oven to 350 degrees F. Line two baking sheets with parchment paper or a silicone baking mat. Make balls of cookie dough using two tablespoons of dough per ball. Roll each ball in the cinnamon sugar and place on your baking sheets at least two inches apart. Bake for 10 - 12 minutes, or until a light golden brown. Remove the cookies from the oven and allow to cool on a wire rack. Store in an airtight container for up to a week. They taste even better. I hope you get to try this brown butter version soon!